SMBs often form close and reliant relationships with a small cadre of professional advisors. In the advisors' desire to support the SMB, and in the owners loyalty to core advisors, sometimes roles are convoluted and quality of counsel suffers. This is an interesting look at several reasons why lawyers are better suited to handle compliance issues than accountants. The bottom line is that avoiding FCPA enforcement requires planning, strategy and a compliance program. In the compliance world, lawyers and accountants are strange bedfellows. Sometimes they need each other, and sometimes they do not. Each has advantages and disadvantages. Working together, you get both. I shudder when I think of companies that have hired accounting firms to conduct internal investigations, design compliance programs, or audit compliance programs. Please do not misunderstand me. I have worked with some terrific forensic accountants who are brilliant. Unfortunately, they are not always the right fit for the job. Lawyers cannot handle these same tasks alone. Forensic accountants are an invaluable partner. 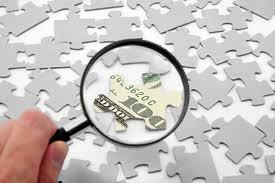 In an internal investigation, forensic accountants can identify suspect transactions, accounts and offices. In auditing a compliance program, they can zero in on the weak links and identify areas for further investigation. When designing and implementing a compliance program, accountants can help with internal controls to make sure that suspect transactions are identified. Lawyers have a big advantage over accountants – they have the attorney-client privilege and they do not have a duty to disclose misconduct (with certain minor exceptions which do not come into play very often in compliance). The privilege is a must have when operating in the compliance and enforcement arena. It protects communications between company officers and employees and company counsel. It allows counsel to advise the company on the best way to proceed, and it facilitates problem-solving. The absence of a duty to disclose is again invaluable to promote counsel guidance and assistance to the company. Accountants do not have a privilege. Communications between accountants and company officers and employees are completely discoverable to the government. It is a wonder that accountants have not been dragged before grand juries very often but the risk is significant. Accountants have a duty to disclose if they identify violations and are not satisfied by the company’s response. This is referred to as their “10A” obligation to report company misconduct internally and externally if the company does not satisfactorily resolve the issue. Lawyers and accountants have another significant difference – lawyers have to advise company witnesses of their Upjohn rights which may cause the witness to seek their own counsel. Accountants do not have to advise company witnesses of their Upjohn rights and can question the witness. Of course, the witness can seek counsel anytime even if not advised of the right to do so. With all these pluses and minuses and pros and cons, there is a good solution, which many companies follow. Some do not and it is hard to understand why. A company can maximize benefits and minimize downsides by retaining both, and doing so through the attorney. What do I mean? The company should initially retain the attorney, and then have the attorney retain the accounting firm to provide counsel with forensic accounting services which are needed for counsel to advise the company on compliance issues. This is the proper structure for a project and must be carried out by having counsel attend every interview or interaction with company officers and employees relating to the specific matter. Working together, attorneys and accountants can bring about optimal solutions. Companies that work with one to the exclusion of the other only increase their risks for enforcement or compliance breakdowns. Ready to look at taking simple, prudent steps to improve your anti-corruption / FCPA compliance? Eager to avoid FCPA enforcement hassles? Contact Consilium Global Business Advisors. Interested in a quick overview of export and international related legal considerations? Download our free eBook. Michael Volkov is a former federal prosecutor with almost 30 years’ experience in a variety of government positions and private practice. Michael’s practice focuses on white collar defense, corporate compliance, internal investigations, and regulatory enforcement matters. Michael has experience in the Foreign Corrupt Practices Act, compliance counseling, special committee representations, money laundering, Office of Foreign Asset Control (OFAC), export controls, sanctions and International Traffic in Arms, False Claims Act, Congressional investigations, online gambling and other regulatory enforcement issues.